Navigating the world of infertility is difficult enough. When medical intervention does not work, considering other options can seem like an insurmountable trek into yet another world full of its own costs, risks, and terminology. Making that leap from infertility treatments to adoption is not to be underestimated. But how do you know when it's time? Most adoptive parents say that they wish they had done it much sooner instead of wasting significant time and money on unsuccessful treatments. But they are speaking as happy parents with 20/20 hindsight. The turning point for many couples is when they realize that they would rather be parents than be pregnant. Often, around this same time, is when the idea of adoption begins to no longer seem like the next step in a series of failures, but rather the first step in an exciting journey that will end in success. When you can embrace it in those terms is when you are emotionally ready to begin. Many people keep forging forward with medical treatments without stopping to take stock of their future options. In fact, most patients do not give serious thought to adoption until their medical options are completely exhausted -- along with their bank account. It is worth considering that those adoptive parents with 20/20 hindsight might be onto something when it comes to conserving precious financial resources. Although difficult, it is often quite valuable to take a short break between cycles to reevaluate where you are not just emotionally, but financially. If that next treatment or two will financially prevent you from pursuing adoption if the treatment is unsuccessful, you and your partner should probably stop and have a conversation about which path makes the most sense for you. Consulting with a Mental Health professional skilled in the area of infertility and adoption is also a good bet at this stage in the process. If you do choose to pursue adoption, it can be overwhelming and lonely to step from the world of infertility to the world of adoption. But you absolutely do not need to do it alone! Just as you never would have gone through medical treatments without your doctors, nurses, and patient coordinators, you should not approach adoption without the help of reputable and experienced professionals. 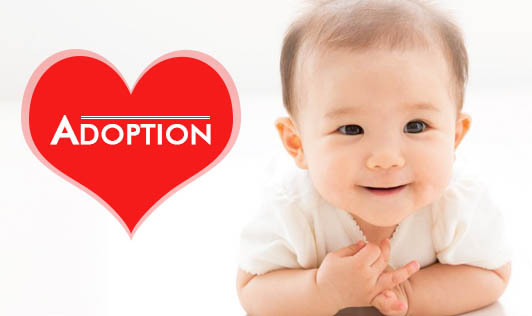 Many hopeful adoptive parents choose to start by working with an adoption consultant. An adoption consultant is a professional who works exclusively with pre-adoptive parents, walking you through the process step-by-step, similar to a wedding planner for adoption. Working with a consultant is optional, but many people find that it shortens the learning curve, reduces stress, minimizes risk, and, because of the consultant's nationwide connections with agencies and attorneys, decreases waiting time. Plus, it can be comforting and reassuring to know that you have an advocate throughout the process who has only your best interests at heart. Regardless of whether or not you use a consultant, to be legally approved to adopt you need to pass a home study. Many agencies can do your home study for you, but you can also choose to employ an independent home study provider. Either way, make sure that you will ‘own' your home study so that you can use it with multiple agencies and attorneys if you so choose. An adoption agency will find a birth mother for you and will handle her paperwork, education, and counseling. Many people only work with one agency, but there are many excellent agencies that charge very little, if anything, upfront and who allow you to work with multiple agencies simultaneously. This increases your exposure to potential birth mothers and therefore, on average, reduces your wait time. You'll need an adoption attorney to, at a minimum, handle the legalities of the adoption. However, in many states, attorneys are allowed to do the same birth mother outreach that agencies do. In those cases, you may choose to work with just an attorney, multiple attorneys, or a combination of agencies and attorneys. In states where attorneys cannot do the outreach for you, they can guide you in what type of advertising you can legally do for yourself if you are interested in an independent adoption. And, finally, you may want to consider a facilitator. Facilitators are regulated in some states, but illegal in others, so you need to be familiar with your state's laws. Facilitators find birth mums and match adoptive parents with birth mums - basically handling the outreach piece of the adoption for you if you do not want to do it yourself and prefer not to work with an agency. But, if you choose to work with a facilitator, you should also be working closely with an attorney. Regardless of which professionals you choose, do your homework -- check their track records and references - so that you can build a strong, supportive team to guide you through the adoption process. Adoption is not always easy. It comes with risks, unexpected detours, and challenges. But if you have the right team in place and you stick with it, you will be successful. As you navigate your journey to parenthood, remember to keep the end goal in mind. If you want to be a parent, there is always a way to become a parent. But you will be in a better position, both emotionally and financially, if you consider and plan for all your options from the beginning.